Banking on the understanding our personnel have received in the years, we are engrossed in the business of offering LCL Cargo Services to our clients. Credited due to their reasonable rates, these services are widely appreciated amongst our clients. More to this, our adroit workers are rendering these services in the most planned manner. QGCL is the specialist in LCL service, taking care of your LCL shipments around the globe. Shipping your LCL cargo from X to Y under well-determined conditions and within an agreed time frame is our commitment. We provide complete shipping services for sea transports from all over the world. We offer various kinds of sea freight services to meet needs and requirements of clients, whether it is Full Container Loads (FCL), Less Than Container Loads (LCL) or consolidation, our on line shipment is there to ship to any seaport in the world or to any specifically assigned custom-made routes. Our firm is offering LCL Consolidation. This service is accessible in different form that meets on clients demand. Additionally, this service is extensively cherished for their timely execution. These services are handled by our experts who have prosperous skill and understanding. 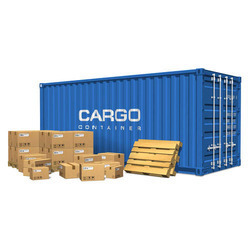 Large as well as small exporters and importers often have cargo that is not enough to fill an entire container. To meet the requirement of shipping such LCL cargo, SSPL offers Less than Container Load Consolidation services. SSPL pioneered this service in India in 1979 and maintains it’s prominent position in this business. Together with our origin partners we have consolidating centers all over the world(CES), which are constantly grouping the goods to be consolidated for our various customers. Specialized in carrying Haz Cargo of all class and UN.no with all major lines accepting hazardous commodity. DG operations are carried out with well co- ordination with respective shipping lines. DGR documentation are carried by our specially trained Haz department to avoid discrepancy. 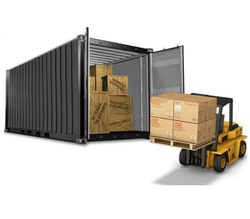 When you think of doing shipment by LCL way than think of Orayan as you have lot of reasons to rely on us when handling and freight charges are concerned not only to India but also to Overseas. We are offering LCL Consolidation Services to our clients which are situated all round the nation. We consolidate the small shipments destined for same country. This gives the economy of scale to the exporter who has small packages to export. We are offering CFS Handling Services. We have our technology streamlined, systems processes that contribute in handling Project Cargo, Break Bulk Cargo, Hazardous and Non-Hazardous Cargo, Warehousing and efficient use and maintenance of equipment, ensure fast operations and convenient flow of containers. LCL (Less Than Container load) consolidation of cargo to / from all major ports across continents. Our specialized and customized consolidated LCL shipments have made multiple timely and successful deliveries. The process is conceptualized in accordance to provide a flexible supply chain, reducing inventory levels and carbon footprint of your business activities. By acting as Master Loaders, our group age program enables us to cut costs of total transportation. We offer solution in terms of speedy voyage time, backed by weekly scheduled departures from all Ports of Origin (POE) thereby ensuring reliable and time specific deliveries at the destination ports.